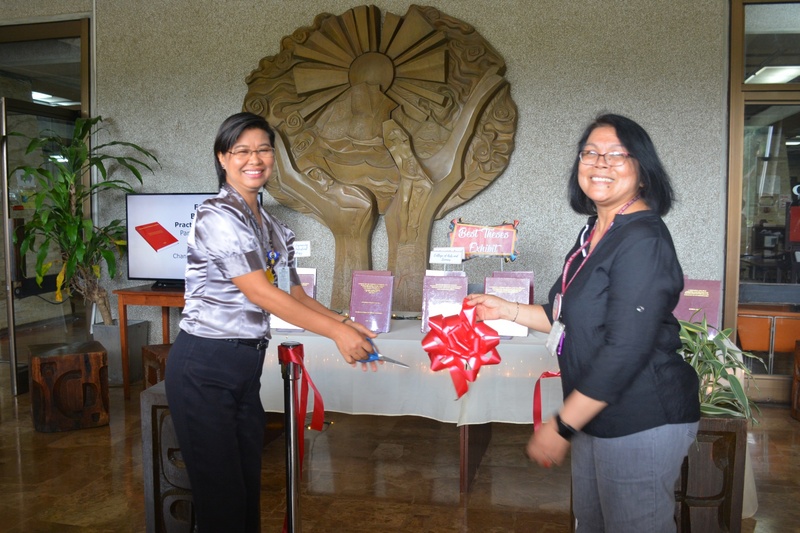 “Connected actions, collective vision: libraries transforming society” is this year’s theme for the 84th National Book Week (NBW), which the University Library celebrated on Nov.12-14 at the Chancellors’ Hall in the UPLB Main Library. The University Library connected and partnered with various organizations and departments in conducting the NBW activities aimed at promoting learning and literacy. The forum, “Best Thesis: practical guides and tips,” held on Nov. 12 featured Dr. Vachel Gay V. Paller, professor, and best thesis awardees Anna Monica Bordado and Roman N. Fornesa, all from the Institute of Biological Sciences. The three speakers imparted guidelines and tips that could help produce research papers that are worthy of a best thesis award. Dr. Portia G. Lapitan, vice chancellor for academic affairs, encouraged the students to do their best in their endeavors in her inspirational message during the forum. The manuscripts of recent best theses in UPLB were displayed in an exhibit at the BM Gonzalez Hall lobby held alongside a book fair at the second floor of the Library during the three-day event. Concepcion DL. Saul, university librarian, and Dr. Paller officially opened the exhibit. Another learning event on Nov. 12, called “Let’s meet and be informed,” oriented UPLB faculty members on the services and facilities of the Library. They were taught how to use the citation tool Mendeley, and enlightened on the role of a collaborative and creative space in the library, called the Makerspace, in 21st century learning. On Nov. 14, the forum “Untold stories of World War II: digitized records of Filipino soldiers and guerrillas” featured the talk of Dr. Gilbert E. Macarandang, faculty member at the Department of Social Sciences. This activity taught the participants how to use the Guerrilla Unit Recognition Files or GURF (1942-1948) in determining whether information about World War II is legitimate. GURF, or the Brigadier-General Franciso H. Licuanan, Jr. Collection, is a recent acquisition of the University Library from the Philippine Veterans Affairs Office. The celebration also featured an on-the-spot poster making contest on Nov. 13 that revolved around the NBW theme and was held in cooperation with the Association of Agricultural Librarians and Information Professionals in the Philippines, Inc.